Hollywood Body Wraps – A Healthier tomorrow. Preventive care is the best care you can give to yourself and your love ones…most illnesses are related to high levels of Heavy Metals in your body. I have been told over and over again by my clients …Ooh I don’t have heavy Metals I eat pretty healthy. Well! I hate to burst your bubble, but if you are breathing you are exposed every single day. The question isn’t are you exposed the question is how much of it is currently living in your system, I know for many this is just another topic but to me ( HBW Mngr) this is a serious topic. If we let time go by without being tested your body can be a walking time bomb. I was one of those who thought ooh no! 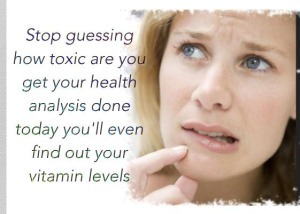 I don’t have that and now with this new Health test I was proven wrong…the good news is that I now know and can Detox the areas that need it..not guess all the time. I know everyone on FB has seen the water Bucket Challenge for the ALS awareness…Did you know when you are diagnosed with this illness the first thing the Dr. request is a Heavy Metal test level. Below are some article I want to share with our clients. Please read it. See what you think. What Environmental Factors Are Suspect in ALS? After finding the mutated gene for SOD1 (see also SOD1) in some inherited cases of ALS, researchers continue to search for additional factors that can cause or contribute to the disease. Toxins encountered in the environment have been examined as possible factors in producing the disease. As yet no conclusive proof exists for any toxin as a causative factor in ALS. Suspects that scientists have researched include heavy metals, solvents, radiation, and electromagnetic fields. As no one would propose to give a known or potentially toxic substance to people on purpose, any study of the potential role of environmental or dietary factors in ALS must be by the methods of epidemiology. These studies look at populations of people and use answers to questionnaires or information collected from patients and stored in databases to investigate what common factors among people with ALS could provide a link to the disease. Such studies can only reveal a potential association and can never prove cause. You can view the rest off the link above.